As convenient as the built-in webcam on your PC might be, washed-out video and tinny audio probably won’t instill confidence in your professionalism when Skyping with a client or broadcasting to legions of loyal followers. 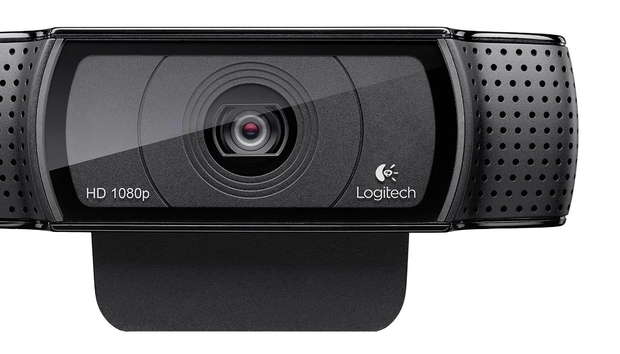 Logitech’s HD Pro Webcam C920 can provide a little more polish with its 1080p resolution and stereo sound. This $100 webcam (available for $68 on Amazon) measures just over 3.5 inches at its widest. Its camera features a full HD glass lens and is flanked by two microphones to capture stereo sound. This head unit comes attached to a rubber-lined clip that fits snugly over laptop screens and external displays. If you want an angle other than the typical top-of-the-monitor shot, you can screw the C920 to a tripod using the built-in mount.